Many people consider the regular washing of the bed sheets to be enough for ensuring the cleanliness and neatness of their beds but they tend to overlook the mattress, often regarded as the dirtiest place at home. You can not just put it in the washing machine and remove all the dirt from it. What you have to do, if you want to get rid of all the bugs, mites and germs is to get your mattress professionally cleaned by reliable and skilful cleaning technicians. Don’t miss the irresistible offer we have for you – book a mattress cleaning service with us and we will handle this challenging task in no time. Rest assured that you will be able to tell the difference right after our professional touch. You will sleep better and you will wake up energetic and in good mood. Plus, you won’t experience the unpleasant coughing, sneezing, eyes and skin irritations and allergy outbursts. When our professional cleaners arrive to your property, they will vacuum the mattress in order to remove any debris and dirt, accumulated. Then any visible spots and stains will be appropriately treated. 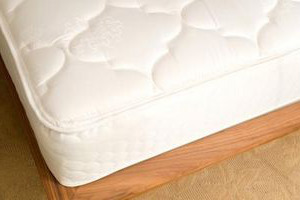 The third step is applying the most efficient mattress cleaning method said to extract all the harmful mites and germs, build up during the time. As a final touch up, your mattress will be subtly scented and you will be given the chance to sleep on a healthy, dirt free mattress without making any efforts. Your satisfaction is the most important thing to us, that’s why we employ experienced and certified cleaning technicians. They are equipped with the latest tools, which makes the final results even greater. They cover all parts of Greater London and there is an available team of experts even during the holidays. Don’t hesitate to book a service with us and enjoy all the benefits it brings. Our cooperative call centre supporters are available round the clock and prepared to give you detailed information about the essence of the mattress cleaning procedure. Get in touch with them now and you won’t be disappointed neither by the prices nor by the quality.